Okay, I’ll admit I saw the amazing film before I read the equally amazing book. To be fair I think the two are different and yet similar enough that they actually compliment each other. I would definitely recommend exploring both if you get the chance. Krakauer paints an empathetic and honest portrait of Christopher McCandless aka Alexander Supertramp. It’s hard not to be moved by his ideals and his passion, despite his selfishness. I have a certain admiration for people that can just drop everything and live their life as a vagabond, maybe it’s the romantic in me (I did minor in English Literature). 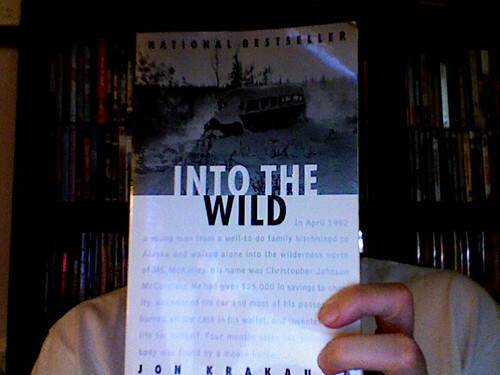 Whatever the case may be, I found ‘Into the Wild’ to be a poetic, profound, page-turner…which is impressive because you know how the story ends, it tells you right on the cover. You know what happens to McCandless, but you can’t stop reading because you want to know more about this incredible (some may say stupid) young man and the lives he touches before his tragic demise in the Alaskan wilderness. Great read.